There have been more questions lately from people having problems getting their free books after signing up for the mailing list. I’m hoping that this will help guide people through the process of signing up for the mailing list and downloading the appropriate files. You’re looking for the green text indicating that my mailing list provider has sent you a confirmation email. Shortly (within a minute or two) after you click submit, the mailing list software will send you a welcome email (if you don’t see it, wait five minutes and then check your junk/spam folder) (if you still don’t see it, then please try signing up again with a different email address–it’s possible that you’ve entered your email address in with a typo and the welcome email is bouncing). You now need to click the “Yes, subscribe me to this list button, which will officially add you to my mailing list and kick off the mailing list welcome email. 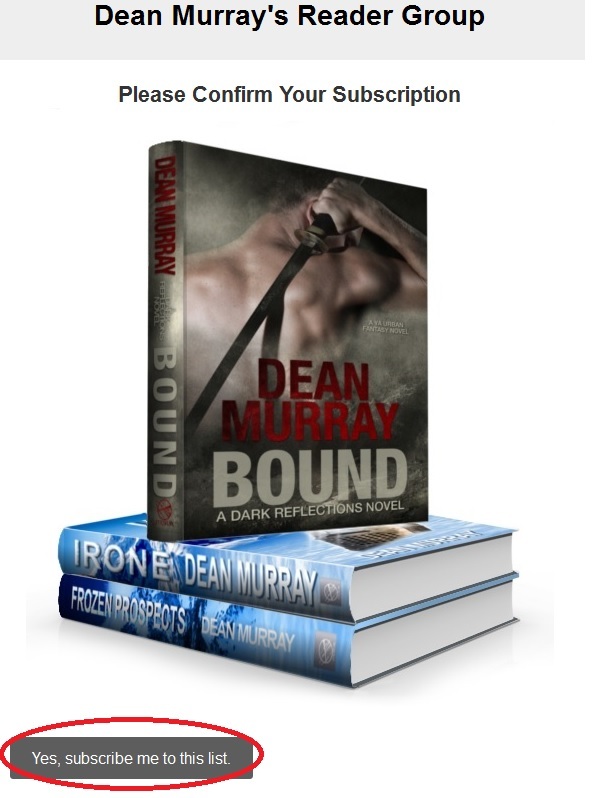 (You may want to add me as a contact approved sender at this point to ensure that the emails with your free books don’t end up in you spam/junk/promotions/updates folders. 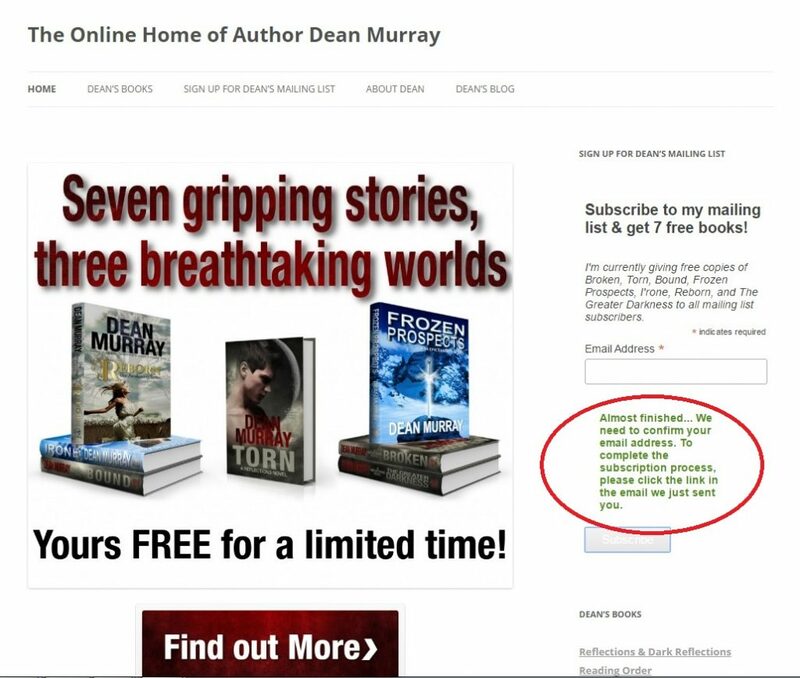 Within a few minutes of confirming your subscription (Step 2 above) , you should receive your welcome email containing the first of your free books. 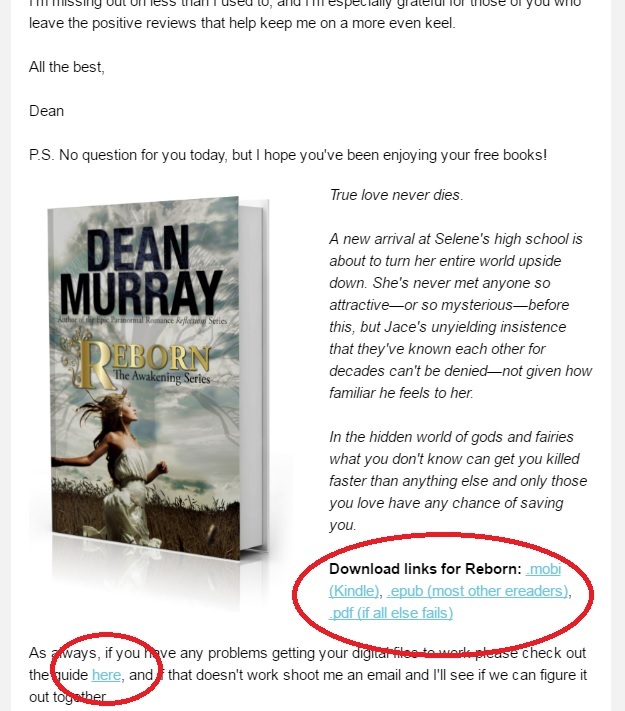 At the bottom of the email you’ll see a cover from the book(s) included in the email, and just to the right of that will be the download links. Below that is a link to various guides for getting the ebook files loaded onto your electronic device of choice. Hopefully this helps anyone who is having trouble.